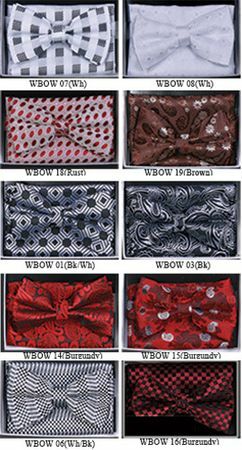 Make Your style move up the Social ladder and start wearing some fancy pattern Bow tie sets that come with the matching hanky. You see many Celebrities wearing these stunning looking Bow tie sets with their suits and they look Great. You Can Too.